Two kitesurfers – 6x World Champ Florian Gruber and 2018 European Formula Kite Champion Guy Bridge – are racing on kite hydrofoils, with their boards levitating out of the water, powered by our FLYSURFER Kiteboarding closed-cell racing kites – the smoothest and most efficient wind powered craft on the planet. And they take on Guy Smith, Le Mans winner and core driver for Bentley M-Sport team, here driving the Bentley Motors Bentayga V8, the newest edition to the Bentayga range and top of the pile when it comes to the competitive super SUV category. 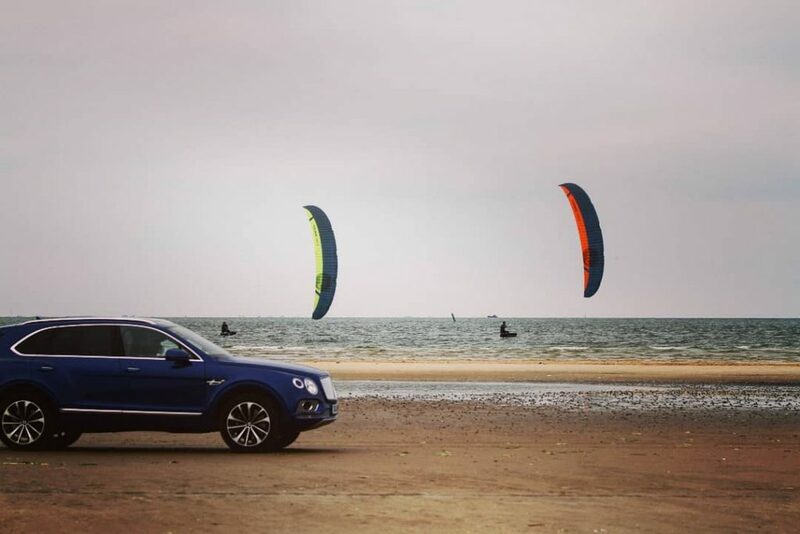 This entry was posted in KiteFEEL media, KiteFEEL Nieuws and tagged Bentayga, Bentley, flysurfer, Kiteboarding, KiteFEEL, kitesurfles, noordholland. Bookmark the permalink.